It’s so very much easier for us, in the twenty-first century, to extend our physical horizons, than it was in previous centuries. Going on short rail breaks from London, for example, allows us to enjoy all manner of pleasures in any part of the country we choose. We can visit the Lake District for a healthy walk, we can do a tour of Scottish castles, we can participate in a murder mystery weekend in Kent, we can go on a painting course in Wales – all within a few short hours of London by train. There are scores of companies offering short breaks to Stratford as well, just two hours from London, where we can see two theatre performances and spend the night in a hotel then be back in London in time for lunch the next day. The invention of the railway changed everything. Trains cut straight through everything – hills, mountains, rivers – in straight lines, at a high speed. And trains are becoming even faster. In the time it takes to set off from Euston, check in at our Stratford hotel, see two plays, have dinner, sleep, have breakfast and arrive back at Euston, Shakespeare would have been only about half way from London to Stratford. Well when you think about it, why not? The one thing that marks famous people out from the rest of us, the one thing they have in common, no matter what their field may be, is their energy, dedication and determination. Those qualities are what make them famous, be it sport, music, art or anything else. An athlete, competing against the best in the Olympic Games and finally winning a gold medal is a simple example. She dedicates herself to it for four years, astonishing everyone with the total immersion in the preparation that she’s prepared to undergo. She’s focused, iron willed and relentless. Bitter cold mornings, snow and rain are nothing to her, and while the rest of us are snuggling beneath our blankets on a Sunday morning in winter she’s out there, determined on her gold. How do we know that Shakespeare wasn’t like that? Dedicated equally to his work in management, acting, writing, family life and community involvement. He certainly did all those things and kept his hand tightly on them all until his retirement to Stratford. The Victorian writer, Anthony Trollope, author of some fifty novels, is a good illustration of that phenomenon. According to his autobiography this was the pattern of his day: rise early, go hunting, write a thousand words, go to work, dine at the club, go to bed. Every day, unless he was abroad. Trollope didn’t just go to work. He was the top man in the Post Office. Roland Hill gets the credit for the introduction of the penny post, the idea of putting a stamp on a letter and sending it anywhere in the world for a small fee, something that changed the world of communication in the same way as email has done in our time. Roland Hill gets the credit because he was the boss, but it was prolific author Trollope, the number two in the Post Office, who actually came up with the idea. 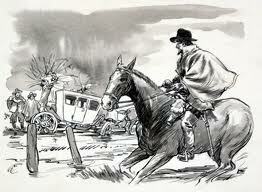 Not only did he do that but he travelled around the Empire and America, setting up the structures for the new system. Yet no-one says he didn’t write his wonderful novels, one of which, Barchester Towers, is generally described as one of the greatest English novels. Trollope tells us in his autobiography about his writing in boats and trains. What is there to say that Shakespeare didn’t write on the back of a wagon after hitching a ride? Or even as he walked or trotted along on horseback? ‘Writing’ isn’t necessarily putting pen to paper. For many writers it consists on formulating something in the imagination, getting it all right then jotting it down later. So perhaps it was actually on the frequent trips between London and Stratford that the great creative effort took place. He would have been far more comfortable on a two hour train ride between the two cities but as train travel was one of the things Shakespeare could not have imagined, he wasn’t missing it, and perhaps his extremely slow, uncomfortable trips were what gave us the great plays that we hurry on fast trains to see in Stratford.